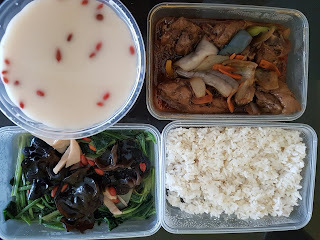 For my first month of confinement, I went with a confinement nanny and I mentioned that confinement meals are more delicious from my first pregnancy. 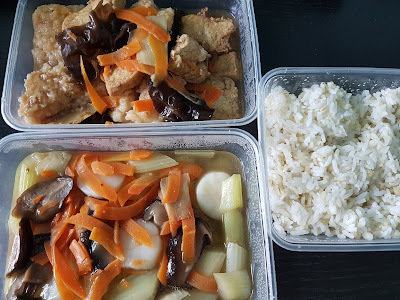 For my second month post delivery, I tried out Tian Wei Signature because I have no time to cook as I have to start working on my own business and still take care of my baby. Besides that, I wanted confinement meals so that the ingredients can boost my breast milk instead of normal tingkat meals. I wrote previously that I would get Tian Wei if I have a second baby and I did just that this time round. Who is Tian Wei Signature? 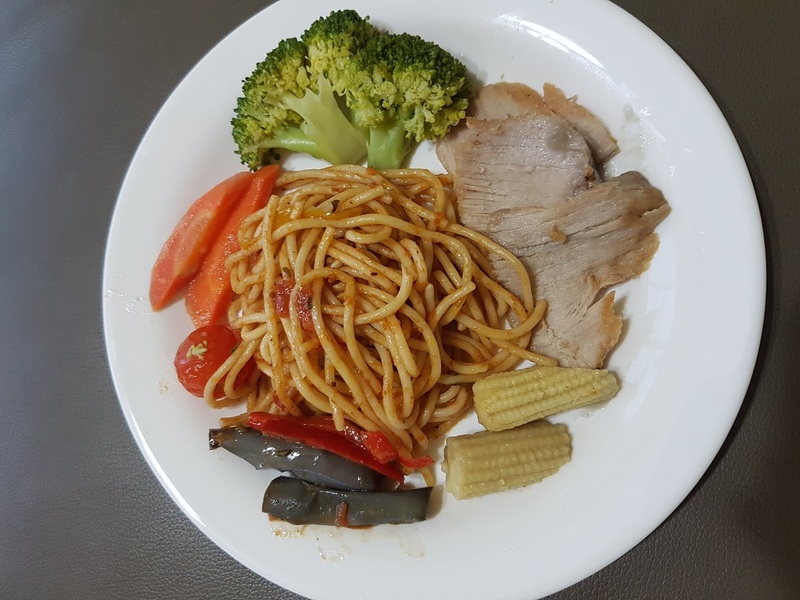 This caterer has a wide variety of dishes, and they came up with some unique meal plans by incorporating a Mediterranean and Japanese twist to spice up normal confinement meals. After eating the confinement meals by 4 different companies, I can truly attest to their uniqueness and variety. Stir fried celery with lotus roots, baked fish with ginger mirin sauce, and barley millet rice with ABC soup. Portion seen here is less than half of what is served. What confinement ingredients do they use? Best part of all, no MSG or artificial flavourings! You can taste the sweet chicken stock they used for the meals that made the dishes so appetising. I think they do not use much salt as I do not feel thirsty after every meal. What about breastmilk boosting ingredients? "WE ARE ALL ABOUT LACTATION !" shouts Tian Wei on their website. You don't see this statement at all in other confinement meals so it assured me that this caterer is focused not just on post partum recovery of the mother but also the breast milk boosting aspect. Breastfeeding is and will continue to vex mothers, particularly because most mothers lactate poorly especially when we are physically weakened by child birth and mentally stressed and exhausted. To incorporate all these ingredients into the confinement meals is definitely a big, big plus for me. I am not really a fussy eater but my main concern is, the food has to be delicious. 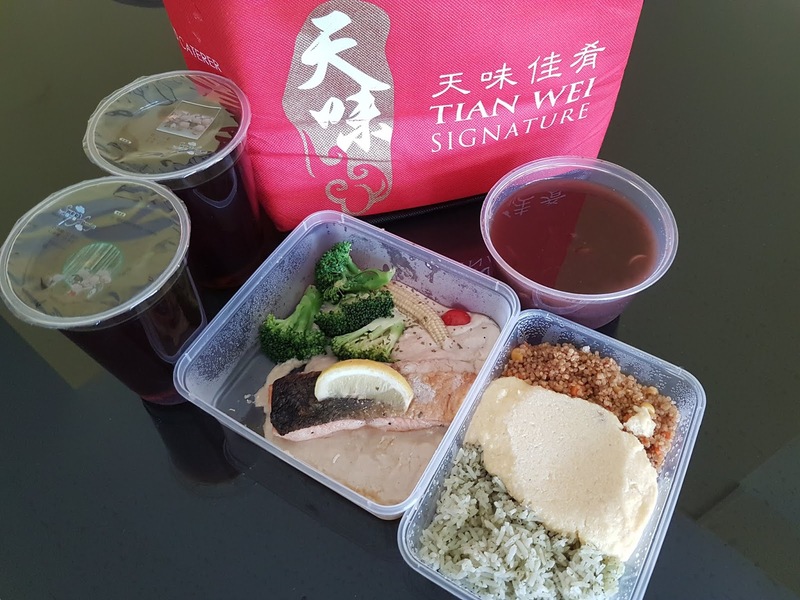 Tian Wei definitely can compete with normal tingkat food, and not just reigns in confinement food industry. How about the ingredients used in the soups? Some soups I really like include ABC soup, pork ribs soup with black beans and lotus roots and white fungus pork rib soup. 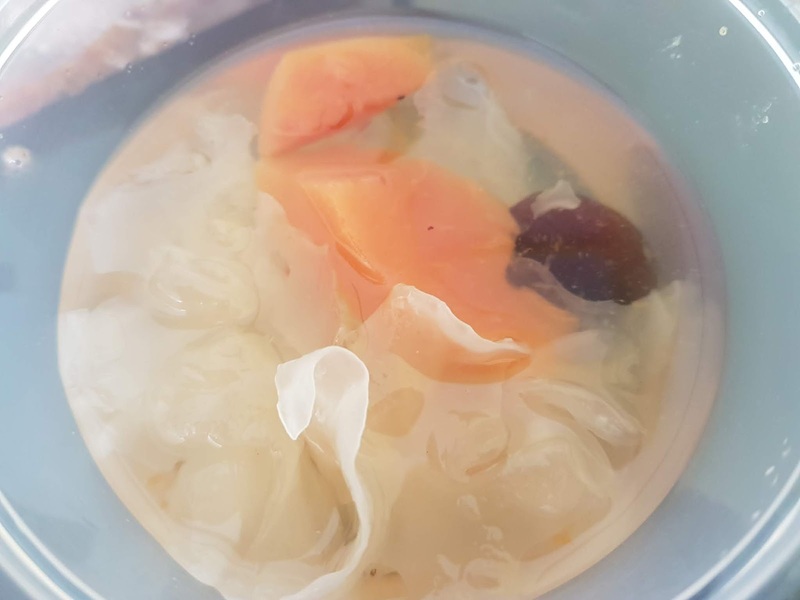 fenugreek green papaya fish soup. I have drank super bitter sheng hua soups from other companies before and even the herbal tonics from my confinement nanny taste like medicine. That is why I was so shocked that Tian Wei's soup can be so tasty. Even my daughter stole the soups from me and drank them up readily, so you can be assured that these soups do not taste like tonics! 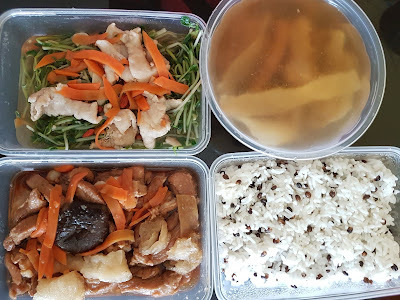 Pea shoots with pork, braised fish maw with soft ribs and mushrooms, black barley mixed rice. Soup is angelicae sinesis chicken soup. What's the best thing about Tian Wei? Not just that, I am in love with their desserts! I have not seen desserts being incorporated into confinement meals so I was so happy to consume them. These desserts such as red bean soup are well known to be refreshing yet helps in blood loss. 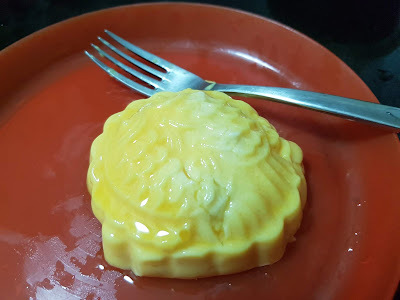 My confinement was during the Mid Autumn Festival and Tian Wei surprised me with an agar-agar durian moon cake. It was quite watery because it's in jelly form so they actually called me to apologise and gave us lactation cookies the next day. Where got such good thing? Apologise for the free food is really unheard of. Being a business owner myself, I appreciate these little efforts that showed how sincere the management is. 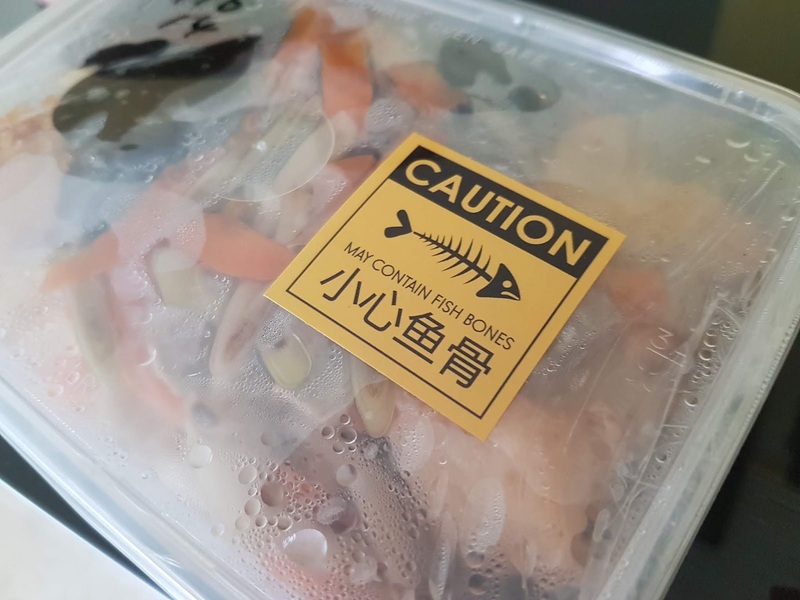 One more thing I like is their gentle warning to caution us on fish bones. The bones are usually big ones and found only when the whole fish is used. There are no small bones at all so mothers can eat without worry. I like the thoughtful reminder even when it is not necessary. This is definitely going above and beyond what is necessary to give us a peace of mind. What are my favourite dishes? I could count on one hand what I don't prefer, but still every meal was polished off. The portion was also quite large because I could share with my toddler daughter and sometimes, even my husband could eat a part of it. 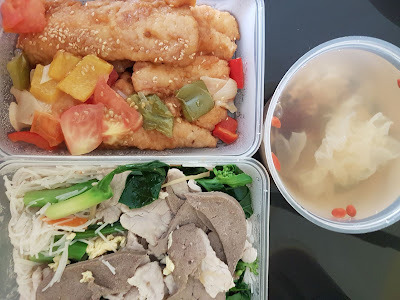 My favourite dishes, not just the fusion ones and those pictured above, is the Stir fried pork liver with beehoon and kailan with sweet and sour fish slices. I requested it to be served once a week and truly enjoyed eating them. They don't taste like confinement meals at all. 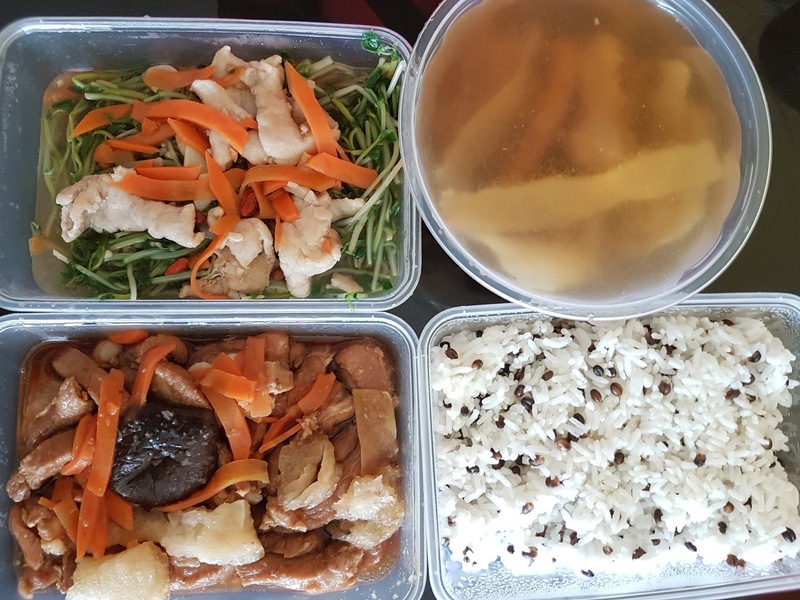 It cost $1,688 for 28 days with 2 meals a day. Definitely go for the early bird discount at $128! Some friends told me that confinement meals are expensive and they would rather ask their parents or partners to cook. 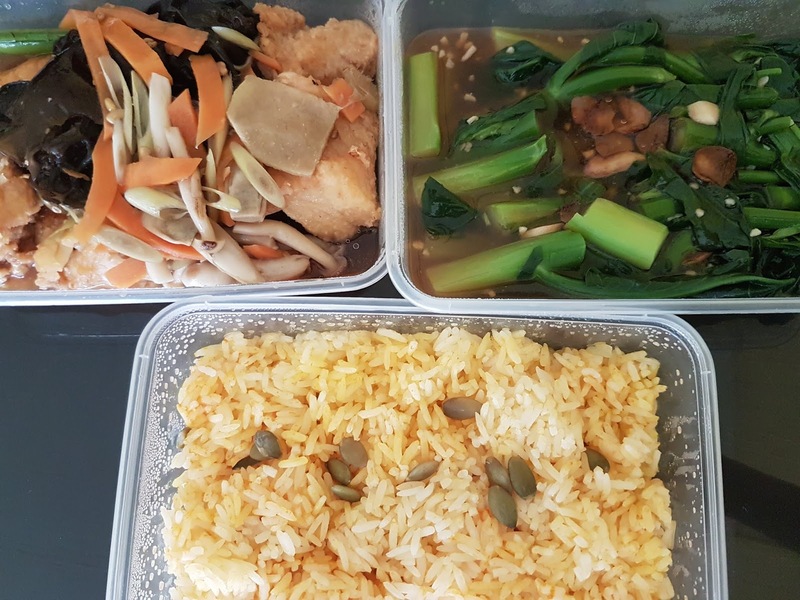 I feel that cooking is best left to the experts as you can get tasty meals every day that is nutritionally balanced yet able to boost breast milk. I would much rather save the time buying, preparing and washing and spend more time with the newborn. 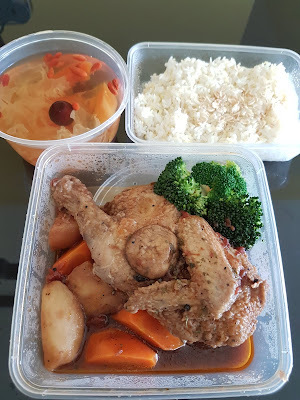 I opted for no white rice because I want to lose weight faster and take more dietary fibre. Tian Wei is able to accede to my request and they have so many types of other rice for me to choose! To come up with different kinds of rice, they added some quinoa, barley, beans, seeds to increase the nutritional content. Luckily, there is no extra charge for such request! However, it is best not to opt out for too many ingredients as there may be more of the same food being sent. 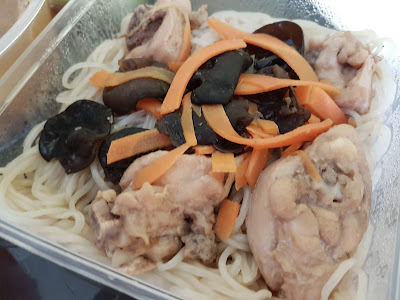 After 2 weeks, I told them I am quite sick of rice so they actually gave me noodles on alternate days, also at no extra charge! I really enjoyed my bee hoon, spaghetti and other noodles. It felt so good to eat something different. I think their fusion dishes could have more side dishes and vegetables. 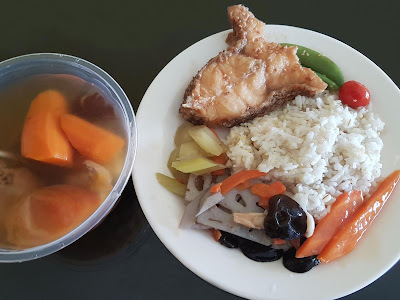 The traditional Chinese meals have a larger serving of vegetables which is what I like. Not just that, I personally prefer their pork dishes to their baked fish because I was ultra sensitive to fishy smell throughout my pregnancy and even after. It's just me because my husband find the smell normal so I wonder how many mums have a sensitive nose like me. Regarding my wish list on the future of confinement meals, I hope to have a choice of the meals. For example, if mummies have the option to go for Set A or Set B, that would really be quite awesome. I know none of the catering companies, not just confinement meals are allowing this currently so I hope my children might actually have this option in the future. It is so good to have confinement meals particularly because every meal is of tasty restaurant standard. Gone are the days when I have to endure bland, repetitive dishes. Confinement meals curated by top chefs really make me want to keep eating confinement meals again. Disclaimer: This article was brought to you in collaboration with Tian Wei Signature but the reviews are solely my own subjective opinions. Like me on Facebook to be updated on more pregnancy and family finance issues.